TMA Toowoomba provides comprehensive travel advice and vaccinations with a full range of travel kits and can provide urgent appointments for those last minute trips. The practice is located upstairs in the new Link building in the Wilsonton Shopping Centre ( in front of Coles Supermarket ) with lift access. Readily available in front of building - see photo at right. Our medical and nursing staff have undertaken special training in travel health and our three doctors, Dr Cormac Carey, Dr Richi Jaggi and Dr Rahel Varughese have all had extensive travel experience. Comprehensive AFTER HOURS CARE is provide within the Platinum Health Group with WEEKDAY EVENING PLUS SATURDAY AND SUNDAY morning clinics available at St Andrew’s Hospital Medical Centre tel 46907000. 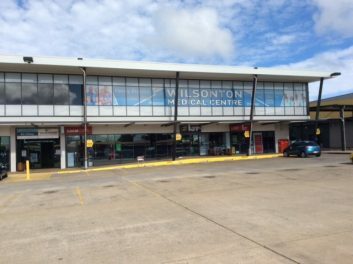 Posts relating to Wilsonton Medical Centre. This work by Dr Deb The Travel Doctor Pty Ltd (ABN 75 624 360 247) is licensed under a Creative Commons Attribution-NoDerivatives 4.0 International License. Permissions beyond the scope of this license may be available at http://www.thetraveldoctor.com.au/website_terms_conditions.htm.